New project of 4 villas with sea views located at LOWER LA CALA, Mijas Costa, walking flat distance to La Cala village, all kind of services at just steps away, hospital, sport centre, supermarkets, shops, restaurants, market, public transport and even the beach. 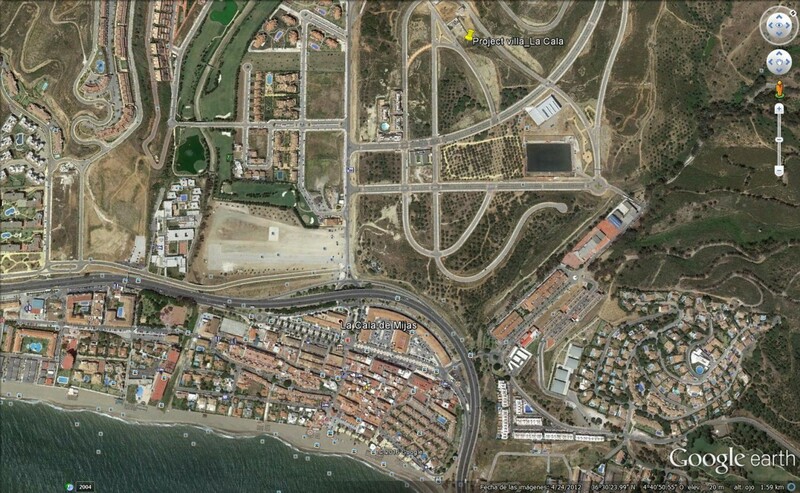 We offer 3 different Villa stiles (Zafiro, Esmeralda and Rubi). 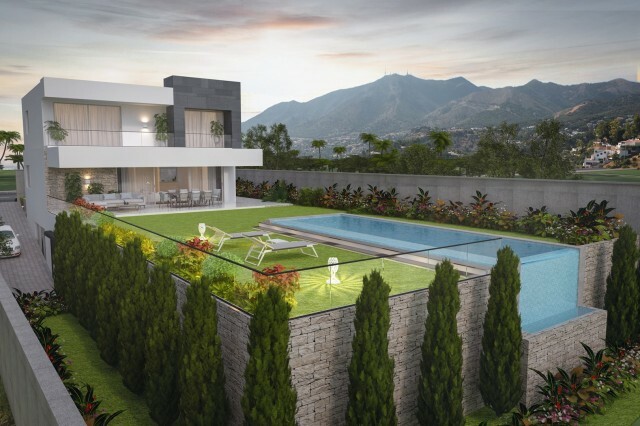 The project is open to any modifications inside and outside of the villa to meet the buyer specifications, once the licence is granted the building process will start and the construction time will take +/- 12 months to be completed. BUILDING LICENSE GRANTED ON MARCH 2019, COMPLETION EXPECTED ON AUGUST 2020. 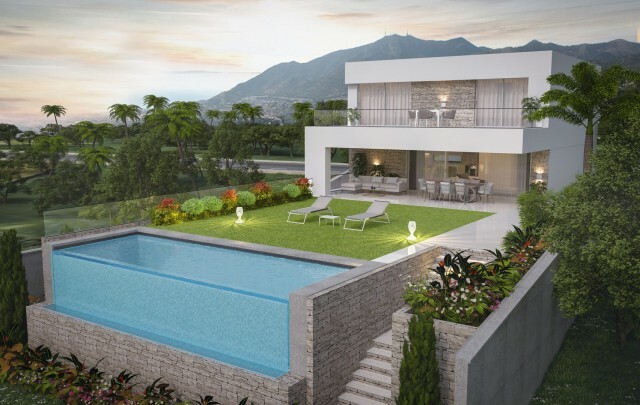 Elite Properties Spain as developers presents a new development of 4 spacious and bright open plan, high end luxury villas with sea views, a unique bespoke style property, each villa can be designed with various configuration options to create your ideal home with 3 or 4 bedrooms plu¬¬s a large basement level with a self contained apartment with natural light and independent entrance together with a private underground parking for 2 cars and storage. Built to the highest quality in every detail there is the possibility to modify the internal spaces to match the customer needs, highly modern and contemporary design with 3 different designs to choose from. Ground floor: Ample open spaces that lead into a large covered terrace, garden and private pool, with the option of having an open or closed kitchen and even the option of an extra bedroom with on suite bathroom, also on this level a guest WC can be found. 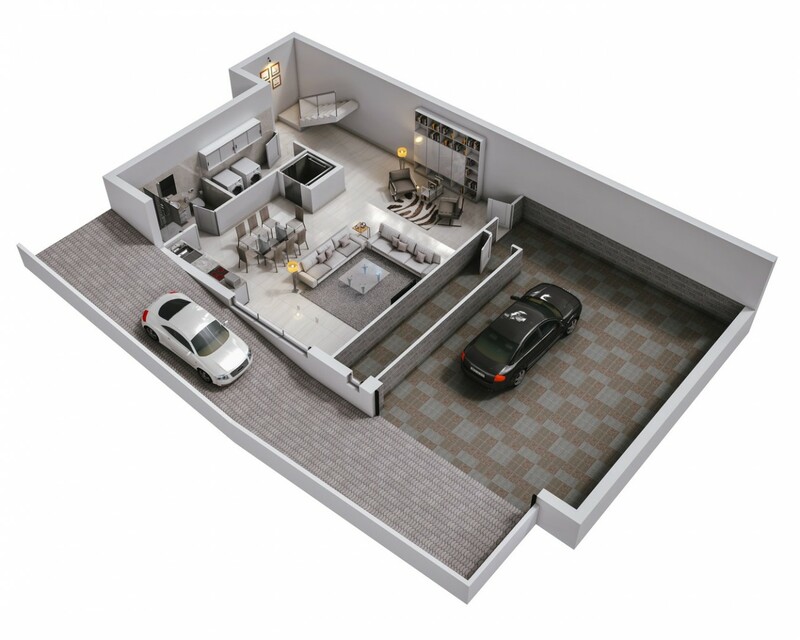 First floor: Depending in your family needs we offer configurations of 2 or 3 bedrooms. 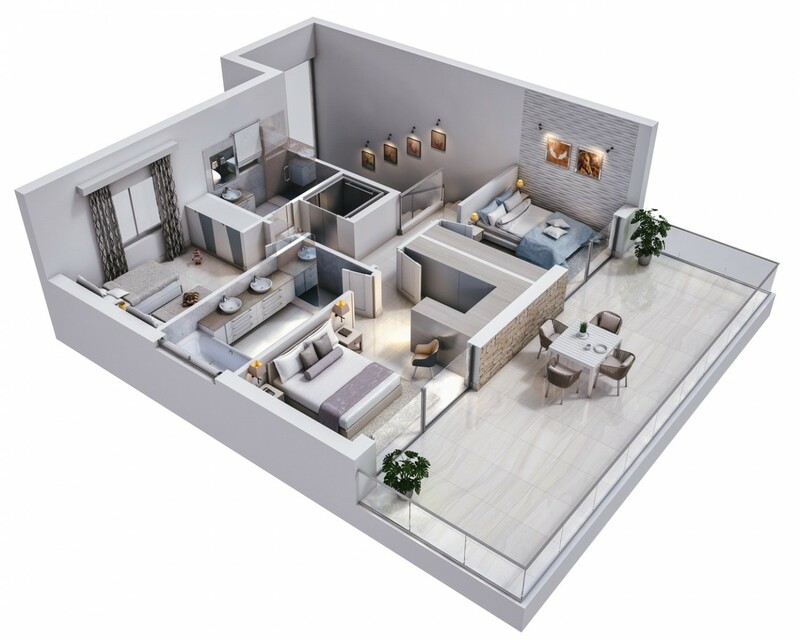 With the actual set you will get 3 bedrooms with 2 bathrooms. 2 of the bedrooms will offer access to a large terrace that will offer sea views. The master bedroom offers a walk in wardrobe and on suite bathroom. Basement level: Thanks to it´s independent entrance this level can offer a self contained independent apartment with a private bathroom and laundry room, or any other configurations like gym area or entertainment area. Also, there will be a large underground parking area big enough to fit 2 cars, machinery room plus ample storage area. 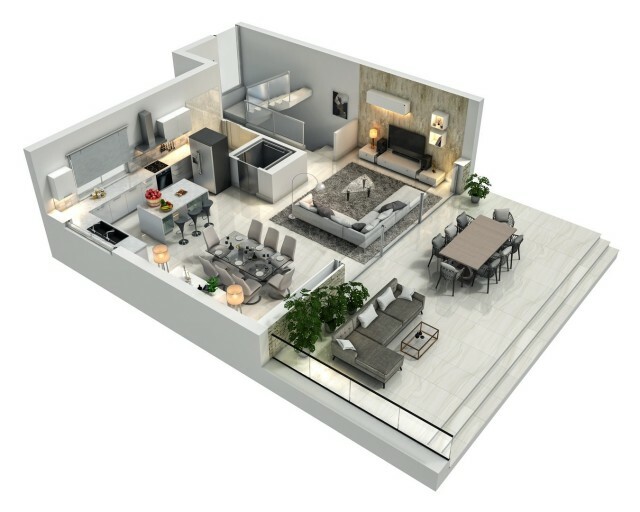 - Deposit 15.000 Euros with a lawyer, that will take the property of the market. The money will remain in your lawyer''s client account until approval of due diligence. - Your lawyer will contact the vendor for confirmation of all details and on your behalf, do the due diligence. - Within 30 days after the payment of the reservation and once the building license is in place you will sign the contract and pay 30% + VAT. - On completion and certification of the structure, 20% of sales price plus VAT. This will be covered by a legal bank guarantee. - The remainder 50% of the purchase price, all costs, and the remaining amount of the VAT will be paid when you are signing the title deed for your property and handover of the keys. 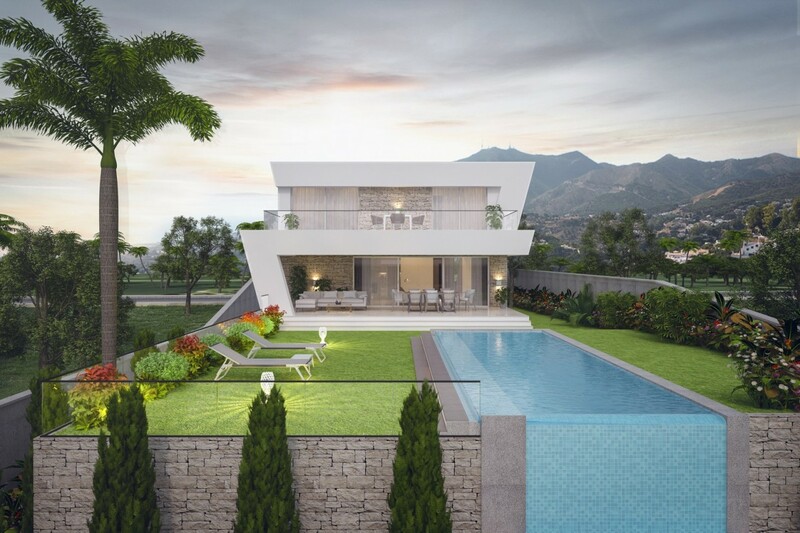 - The excellent price quality relationship and the flexibility of payment adapted to each client''s needs make our villas an opportunity you cannot miss. - This is a non risk purchase!!! Views: Garden, Golf, Hills, Open, Sea. Features 2 Parking Places, ADSL, Air Conditioning Hot/Cold, Alarm System, Automatic Entrance, Automatic Irrigation System, Basement, Built to High Standards, CCTV, Close to all Amenities, Close to schools, Conveniently Situated for Golf, Conveniently Situated Schools, Covered Terrace, Double glazing windows, Dressing Room, Electric Central Heating, Electric Entry Phone, Electric Gates, En suite bathroom, Fitted Wardrobes, Floor Heating, Garden and Pool View, Good Road Access, Living room with dining area, Living room with fireplace, Luxury Fittings, Marble Bathroom, Marble Floors, Prestigious Area, Safe, Satellite TV, Solar Heated Water, Underfloor heating throughout, Various Terraces, Very Good Access, Walking distance to beach, Walking Distance to Cafés, Walking distance to rest., Walking distance to shops, Walking distance to t. centre.